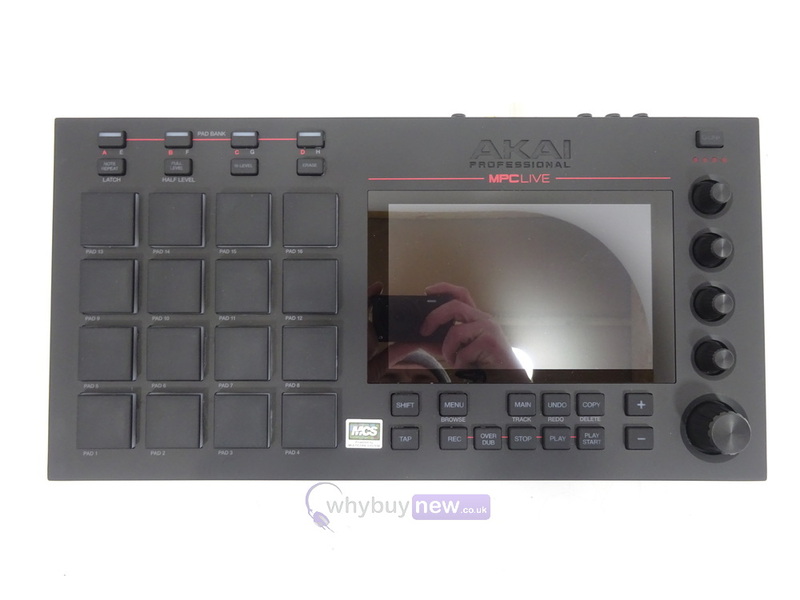 This Akai MPC Live has come to us via a part exchange and comes with a 6 month warranty. The item is in good cosmetic condition with only a few very minor marks. It comes with the power supply and original box. 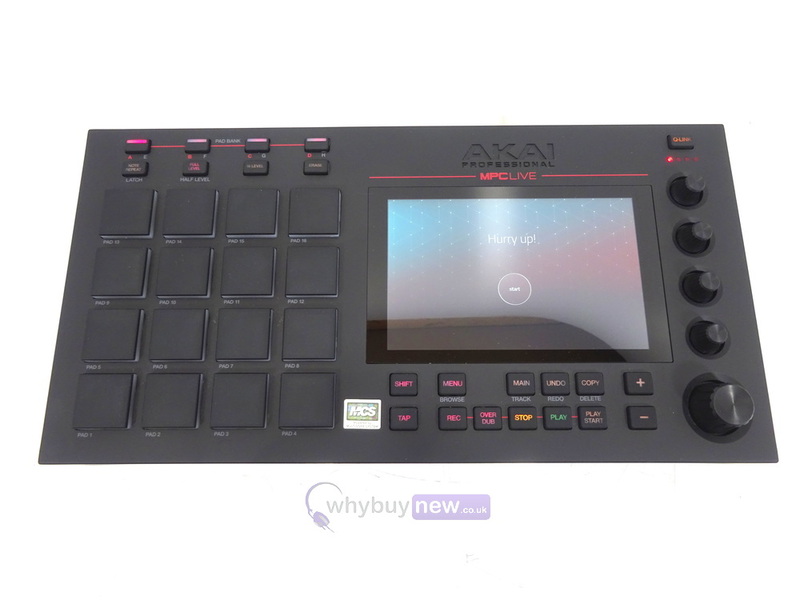 Weighing in at less than 6lbs, the MPC Live ushers in a new era of ultra-portable production. 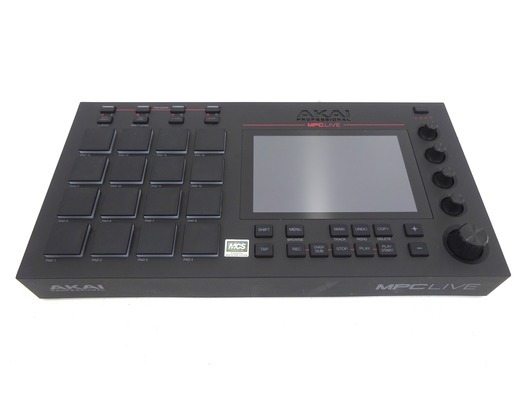 Powered by a rechargeable lithium-ion battery and packing 16GB of on-board storage, the MPC Live features numerous ways to take your beloved sample library and MPC sessions anywhere. Files can be accessed and transferred to the built on-board storage via the built-in SD card slot and/or two-port USB hub. If that's not enough storage, the MPC Live also features a 2.5" SATA drive connector providing additional storage via installation of a fixed hard drive - SSD or HDD (sold separately). The same USB hub can also be used for MIDI controller connectivity. The MPC has a well-earned reputation for sounds that hit hard and sound great, right out of the box. MPC Live is no exception. Pre-installed with 10GB of world-class sounds, The Vault 2.0 features samples and kits from top-notch sound design companies including MVP Loops, CR2 Records, as well as our own radio-ready kits. Want to incorporate your own samples without tethering to a computer? MPC Live features a 2.5" SATA drive connector providing more storage via external hard drive - SSD or HDD. Additionally, sounds can be accessed and added to the library using the built-in SD Card slot or the USB thumb drive. Redefining the creative vista and driving MPC X and MPC Live in standalone and controller modes is Akai Professional's re-imagined MPC Software 2.2; a cutting-edge production suite combining 128-track sequencing capability, real-time time stretching, clip-launch functionality, advanced MIDI editing capability, VST compatibility in controller mode, operation as a standalone application on Mac & PC, advanced sampling & audio editing/recording functionality, seamless DAW integration, a redesigned GUI and much more. 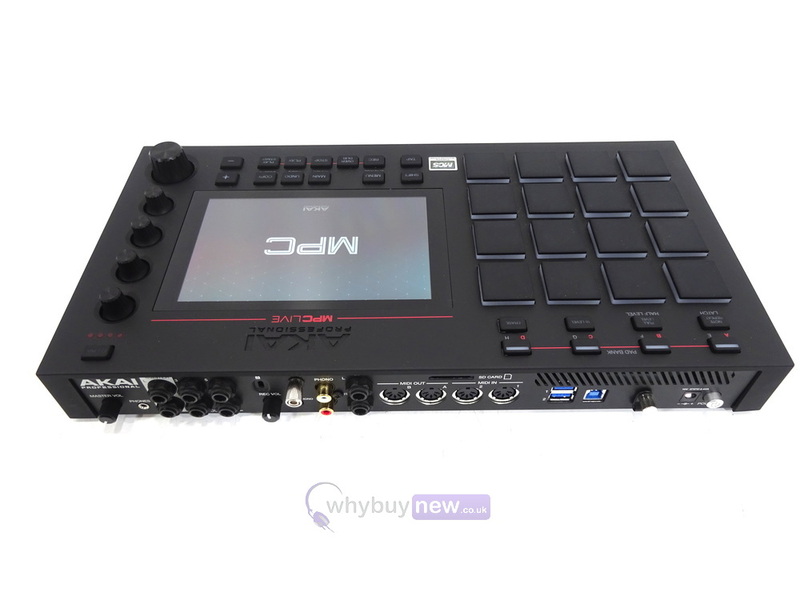 2.7" x 16" x 8.8"
MIDI Learn Global - The MPC desktop software can now be controlled by external MIDI control surfaces such as keyboards and pad controllers. Once configured as a Global MIDI Learn template, its assignments and the Enable On/Off will persist so that each time the MPC application is opened, saved controller assignments will instantly be ready to be used. 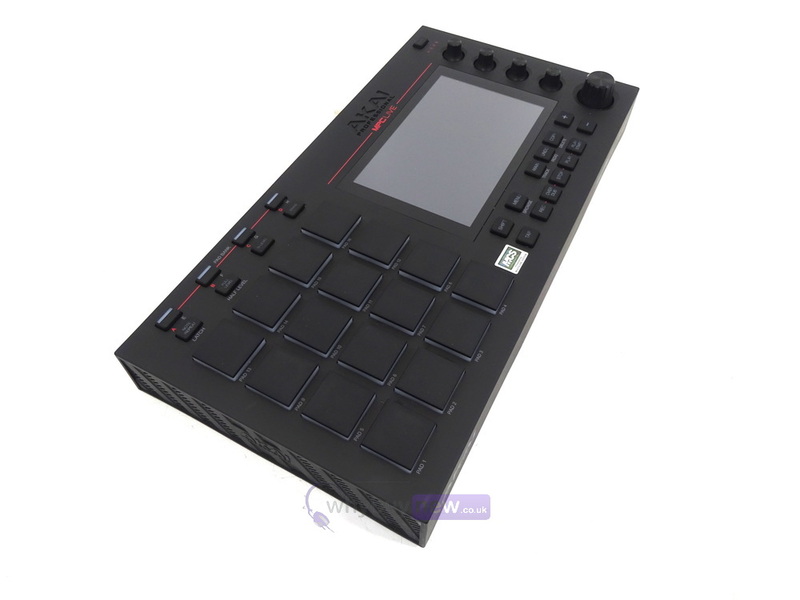 MIDI control surfaces such as keyboards, pad controllers and MIDI mixers. Humanize - Users can now randomize the timing or velocity of MIDI events. Generate Random Events - MPC can now generate random melodic patterns and drum beats. MPC X and MPC Live can now load a user template project from the Launch page.